How many different flowers can you name? The basics like roses, tulips, and daisies? How about more exotic and unusual blooms like birds of paradise, orchids and heliconia? Just as there are a myriad of flowers in earth’s fields and forests, there are a myriad of career possibilities in floriculture. This website is published and presented by the Texas State Florists’ Association hopes to serve as in introduction to that myriad of possibilities. Contained within are submissions by TSFA members actively employed in careers in Texas Floriculture. 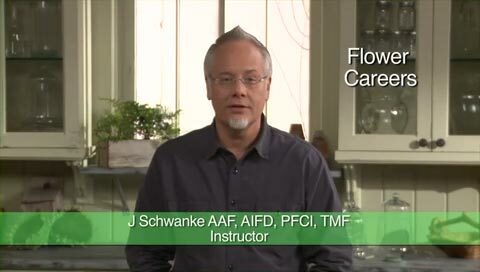 TSFA (and many other institutions and organizations) are great sources of information, education, certification and support to the floriculture industry. TSFA members welcome you and wish you success in your floriculture future. The Texas State Florists’ Association, founded in 1914 is a professional trade association for all branches of the floral industry including retailers, wholesalers, growers, manufacturers of floral products and supplies, brokers, shippers, importers, interior plantscapers and others who service the floral industry. The varied membership, bound together by common interests, also includes students, retired florists, university professors and researchers.